The Department of Water and Sanitation is one of the departments of the South African government. The people’s access to sanitation keeps on improving, to the point that in 1994 only 51% of the population had access to it, whereas in 2012 the percentage was up to an 83.4%. But the issue still lies, with rivers being polluted from agricultural runoffs and such. 0.4% of urban areas still do not have access to drinking water, as do 18.6% of rural areas. 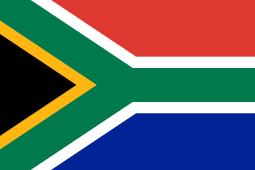 South Africa is democratic, non- racial, non- racist, and they have a united society based on justice, equality, and the human rights of all. But it has not always been so- in 1652 Jan van Riebeeck and 90 men of his landed on South Africa and decided to build a fort and start growing a vegetable garden.In May 2009, following the election of Jacob Zuma, the Department of Water Affairs and Forestry was divided, with the forestry responsibility being transferred to the Department of Agriculture, Forestry and Fisheries. 95% of South African population has access to clean and clear drinking water. The amount of houses that now have clean water has gone up from 11.3 million to 11.6 million. The Department of Water and Sanitation was established in May 2014 by President Jacob Zuma with former Gauteng Premier Nomvula Mokonyane becoming the first Minister. 70% of the world is water, but only 2.5 percent of this is fresh water- from this 2.5 percent only one is possible to use. One in three people do not have access to a good toilet, and one in ten people do not have access to good drinking water. Twice the population of America is seen without any safe water.